If you are interested in a collaborative divorce, it is important to know that collaborative family lawyers have received training in collaborative practice. To be trained in collaborative practice, an attorney has to first become a mediator, which entitles 40-hours of training in Missouri. Afterwards, an attorney has to go through two more days of interdisciplinary training in collaborative practice. Once an attorney has completed all of this training, they then join an organization called the International Academy of Collaborative Professionals. The attorney also joins a local practice group. Sometimes, collaborative divorce can be confused with an uncontested divorce. At times, individuals can see these terms and think they are synonymous. The reality, however, is that these are two distinct processes. Any lawyer licensed to practice law can generally help a client with an uncontested divorce. However, for an attorney to help with a collaborative divorce or family law matter, they need to have undertaken the training, become a member of the International Academy of Collaborative Professionals and joined a local practice group. Collaborative practice can have distinct advantages for parties in need of divorce or family law help. In many instances, both parties want to settle their family law matter outside of court. But the problem is that they do not always agree on all the essential terms. This is exactly where collaborative practice can be helpful. In these instances, parties are able to help work through these issues of disagreement with the collaborative team. 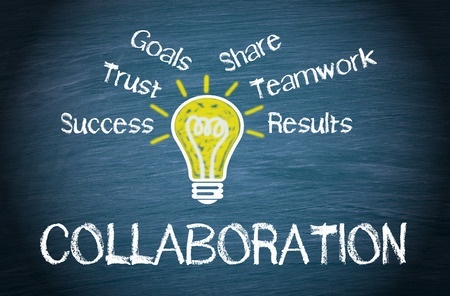 A collaborative team can help the parties engage in meetings, prior to a divorce ever being filed, to help the parties try and come to an agreement. The collaborative team can consist of two collaborative lawyers, a divorce coach or two coaches, a financial neutral and a child custody professionals. All of these individuals on the team can work with the parties to help reach an agreement that the parties will hopefully be happy with for the short and long-term. If you need help with a collaborative divorce or family law matter, you can contact Stange Law Firm, PC at 1-855-805-0595.